From Goodreads.com: Widowed by the Battle of Waterloo, the ladies of Lyttlefield Park are reentering London society, where they’ll learn how to live—and love—again . . .
Let me begin by saying that although book number one introduces the characters (especially the widows), and this book references some of the happenings from the prior novel, you do not need to have read it in order for this one to make sense. In fact, I rather enjoyed the first novel more than this one, and that is a shame considering how much I usually enjoy this author and her stories. However, this story was such a mess that it was at times hard to get through. The sheer amount of obstacles thrown at this couple was ludicrous, and frankly downright boring at times. We get it, his father holds a grudge for reasons I cannot explain without giving away spoilers. However, the lengths he goes to (kidnapping, forced imprisonment, arranged marriages, blackmail) seemed a bit too extreme ESPECIALLY when he finally gives his blessing for the smallest and stupidest condition ever. Don't get me wrong, parts of this story were good. And others seemed like words on the page to increase the overall word count. I also had trouble fathoming how Elizabeth could spend such a great deal of time away from her six year old twins when they were all she had left of her late husband. These were her children, and she had no qualms leaving them for days or weeks at a time. Instead of the ridiculousness of having their nuptials denied and thwarted so many times, I would have instead rather have read about how Jemmy won the affections of her children (especially Colin who was so against his mother re-marrying in the first place). 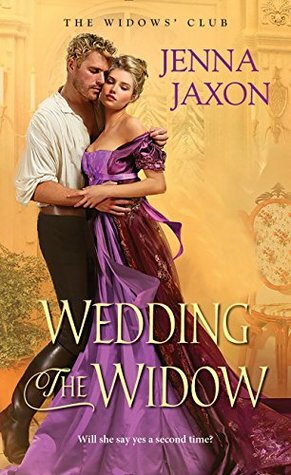 I do think this story may still appeal to fans of historical romances, and I would read more from this author.